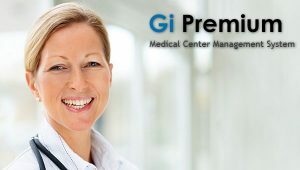 Gi-Maxima Premium is a specially designed software for Medical and Diagnostic Centers. It automates time-consuming processes, minimizes revenue losses, increases service quality and provides better services to your patients. Provides extensive support for pre-analytical and analytical instruments, efficiently routes work in the lab, while speeding up the work processes and reducing human error. Full integration of quality control, including live patient data based controls, patient results delta checks, and results cross checking, supports maximal auto-validation while ensuring unwavering quality. Clearly presented and accessible lab results which illustrate the quality of the services you provide. Support for multiple result delivery policies and methods, together with client-tailored result report formats (e.g. multilingual result reports) and scheduled summary reports, means that you provide your clients with all of the information they need, wherever and whenever they need it. Communication becomes structured and clear, providing a sense of quality. Nowadays, Medical and Diagnostic Centers operate in conditions of very intense competition. The use of Gi-Maxima simplifies and speeds up bureaucratic / time-consuming tasks, achieves significant resource savings, enabling centers to operate smoothly, efficiently and competitively. Foregone earnings, as they relate to investment performance, can cause a big drag on the long-term growth of assets. One of the biggest problems is the internal auditing of them in order to be measured and controlled. Gi-Maxima with its unified control mechanisms contribute to minimize forgone earnings and instantly increase profitability. Quality certification is prerequisite for the operation of any Medical and Diagnostic Center. An electronic data processing system is the basic way of implementing a quality assurance system (ISO). Accredited quality certification according to ISO9001, ISO15189 etc standard is a right direction to satisfy patients and regulators. By using Gi-Maxima, Medical and Diagnostic Centers have all the necessary tools to get certified with minimal effort and minimal interference in their operational procedures. In our belief, the most important factor for the growth of any organization is its human recourses. Our philosophy: develop innovative software that excel and configure every detail of your lab’s specific workflow and needs. Complete, integrated solutions combine automation, information management and new services to enhance laboratory performance. Safe and extremely simple, optimize the use of the technologists time and improve resource balancing and workflow processes through and end-to-end visibility of the entire testing flow. Having an interface that is task-driven and tailored to the users’ needs, it focuses on simplicity, efficiency, and the availability of information, reducing human error, saving time and increasing productivity. With our unified and patient-centric system, you are able to provide the personalized information and superior services that your patients deserve. Gi-Maxima offer targeted services for specific results that are now measurable and make the difference. Provides many Key Performance Indicators to evaluate the success at reaching targets and gain the competitive advantage. Don’t let any outdated software, determine your productivity and your future.